I am always excited about Engagement shoots. I love doing them! I am lucky that I live in an amazing city that is a joy to shoot in. 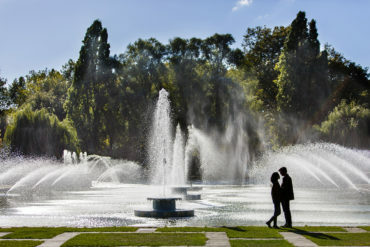 London engagement photos are easy to make when you are surrounded by so many great locations. When couples get in touch about working with me they usually want a set of pictures that are natural, very flattering and that say something about them as a couple. For Sarah and Sjoerd, London is a very special place for them. Neither of them are native to London but they spent many a happy day here and soon they would be leaving to pastures new. They wanted a set of images to remember their time in London and of course to celebrate their engagement! Shooting in winter is always a challenge, it gets dark quicker and the skies are often grey and boring. I tried to bring colour to the photos by using what I had around me. The lights, a few dying rose buds, the fading light in the night sky all gave me inspiration as we wandered around London looking for little spots to shoot in. I have a few favourite locations for engagement shoots in London and we visited them too. We started the shoot by using a pretty cobbled back street. We moved to the south bank to shoot with Tower Bridge in the background. Love this one with The Tower of London in the background. I saw these beautiful silver birch trees in front of the others and loved the contrast of colour. Perfect for winter time. I love to take pictures that really flatter my subjects. I think Sarah and Sjoerd look amazing together in these images. Our next location was further along the south bank. Big Ben is one of those monuments that is a must for anyone wanting to capture “London”. These rose bushes were mostly dead but the few blooms still clinging to life made an excellent foreground for this picture. It did require me to get into the rose garden! Which was much harder to get out of than I had anticipated. Funny to watch though I’m sure! I just love this location! Just love this picture to end the set. 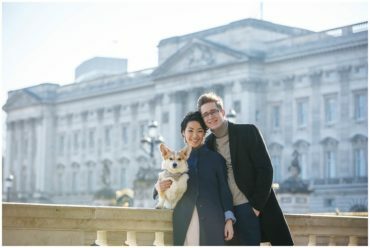 Love this Engagement shoot London? Want to see another? Click here!